A psychedelic noir audio drama podcast set in 1940s Los Angeles. Recently radio broadcasts in the city have been reduced to static, leaving a popular radio serial as the only remaining show on the air. Even then the show finds itself continuously interrupted by a mysterious broadcast. A lone distorted voice reaching out for help. Follow Walter “Troubles” Mix and his partner Whitney as they search for a missing writer and navigate through a city quickly falling into madness. Could the mysterious ... Más informaciones voice be the culprit? Will anyone be able to stop the madness from spreading? 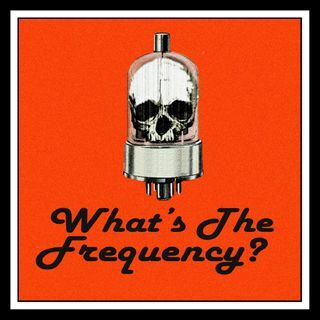 And… What’s The Frequency? What’s the Frequency is created and written by James Oliva and produced by Alexander Danner. With music composed by Kurt C. Nelson. Behold! Our First Full Trailer!